Google prides itself on prioritizing speed and accessibility over all else when designing a product. This leaves room for redesigning Google Search for a target audience. In my case, I have designed for an older generation of users who grew up reading newspapers as the primary form of searching for information. I have used visual metaphors from this medium to communicate so more complex user interface interactions. 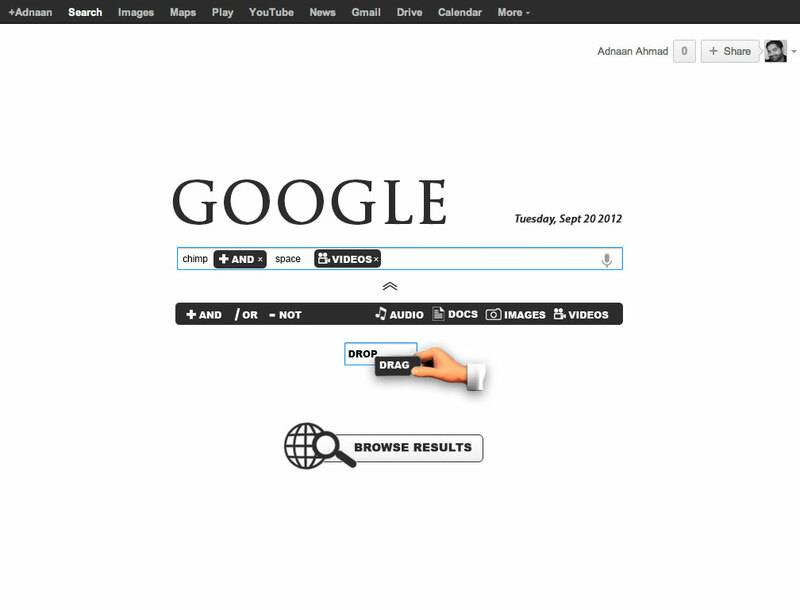 My approach to making tools accessible was to use a drag and drop method of ‘building’ a search. A user simply clicks on and drags the appropriate item into the search bar. They can then drag elements around if needed or remove them at will. 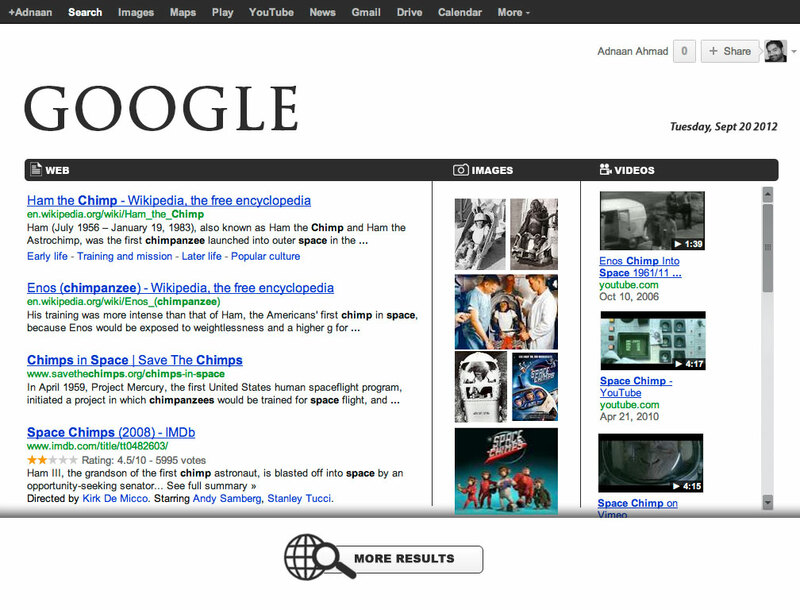 An example of a user searching for “chimp AND space VIDEOS” is depicted below. The idea is to make the search phrase very organic and something that can be read out like a sentence or newspaper headline. I have presented the media types as they would be if they were Sections in a newspaper. I also used the newspaper metaphor for the search results. Because search results are so accurate these days I rarely need to go beyond the first page as one might only ever read the front-page of a newspaper for the important information. These results are laid out in column grid fashion, as they would be in the front page of the Wall Street Journal. This allows the users to quickly scan relevant media types and make a selection.